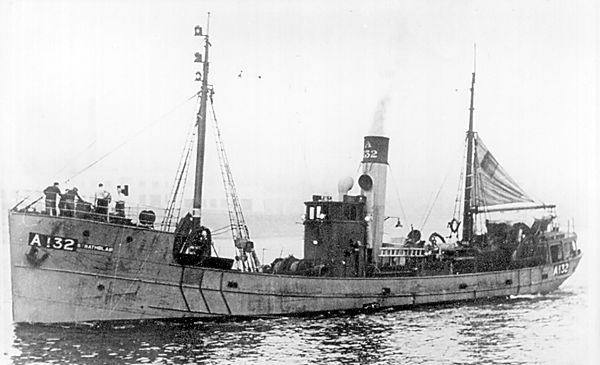 21.8.1930: Launched by Hall, Russell & Co Ltd, Aberdeen (Yd.No.714) for Aberdeen Steam Trawling & Fishing Co Ltd, Aberdeen as STRATHBLAIR. 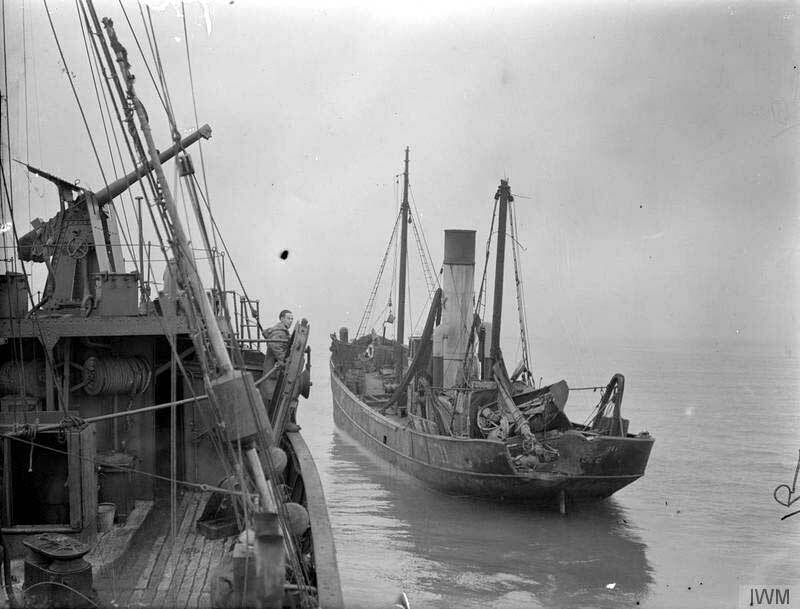 17.9.1930: Registered at Aberdeen (A132). 9.1930: Completed. George Massie designated manager. 1938: W. Rhind designated manager. 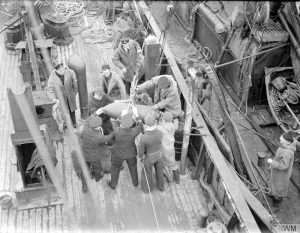 8.3.1941: Off East Coast of Scotland. 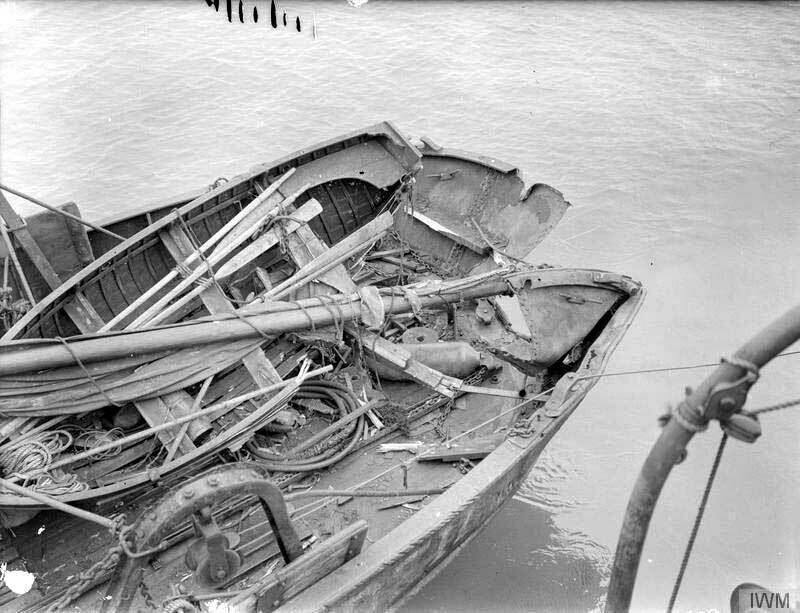 Attacked by Heinkel bomber which circled and before crew could man the guns made a low level approach to strafe the ship. 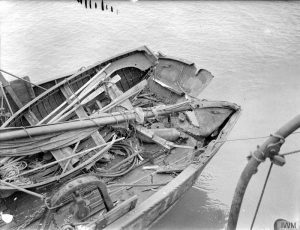 The angle was wrong and the aircraft collided with the top of the mizzen mast tearing off the wing and crashing into the sea. 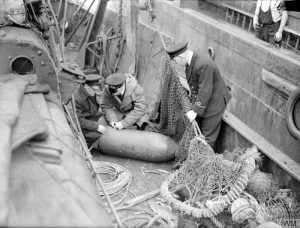 In so doing two bombs were released which landed on deck but did not explode. On return to harbour bombs rendered safe and removed by RN Bomb & Mine Disposal Team. 29.12.1942: Sold to Bloomfields Ltd, Gt. Yarmouth. Bloomfield’s Ltd, Fleetwood designated managers. Out of Fleetwood fished Home and Faroes grounds (Sk. Edward W. ‘Laddy’ Bush, Gt. Yarmouth 1943-45). 1946: Transferred to Gt. Yarmouth. 17.4.1947: Sold to Elizabeth Anne Davidson, Aberdeen. 28.6.1950: Sold to Colonial Development Corporation, London. 11.1950: Taken in hand by Hall, Russell & Co Ltd and fitted with refrigeration plant, fish room modified with metal boxes on railed shelving, crew accommodation air conditioned and other improvements. 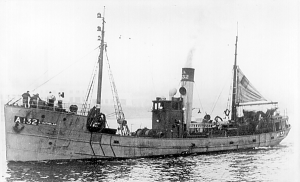 17.1.1951: Completed successful trials in Aberdeen Bay. 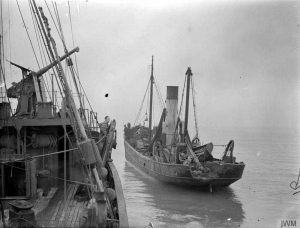 24.1.1951: Sailed Aberdeen for Lagos (Sk. Tom Normandale, Scarborough) in company with STRATHALBYN (A48) (Sk. Alex Flett). 13.10.1954: Sold to Nigerian Shipping & Trading Co Ltd, Lagos. Frederick A. J. Simpson designated manager. 1978: Sold for breaking up. 17/01/2009: Page published. 3 updates since then. 16/04/2015: Removed 4 incorrect pictures. 05/08/2017: Restored pictures and updated text. This entry was posted in Steam Trawlers, Steamers (Picture) and tagged No Fleetwood owners on January 17, 2009 by Fred Smith.